A UKIP MEP DOING THE JOB UKIP WERE ELECTED TO DO! The Better Off Out Group & Many More RIGHT ACROSS BRITAIN! 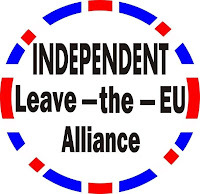 here is a video I found on YouTube of a radio interview of Nikki Sinclaire MEP doing the job UKIP MEPs were elected to do – she has just taken 30 residents of her constituency to the EU Parliament to protest for their Human Rights stolen by membership of The EU. You will also hear details of The Petition Campaign for an EU Referendum she has rolled out right across Britain already despite endless cowardly and dishonest attacks by the dog in the manger brigade masquerading as ‘leadership’ and its parasites in UKIP – ashamed at being exposed by her integrity that refused to collude with racists, extremists, thugs and anti Jewish political trash just to put money in a couple of peoples’ pockets. Nikki Sinclaire refused to sit with the corrupt EFD in the EU Parliament and for that she was lied to, lied about and betrayed by UKIP’s leader and the nere do well garbage that has been placed on the party NEC. Sinclaire not only stood her ground but left UKIP to mud wrestle in its gutter whilst she got on with the job she was elected to do. A fully fledged cross party initiative where already UKIP is fielding 3 MEPs one Independent, Where Tories, Trades Unions, Labour politicians and many organisations are co-operating for the sake of Democracy and the peoples of these United Kingdoms – You can help if you have a genuine Patriotic interest in Democracy. All we ask is that you act like a mature adult and leave your tiny minded egos behind for the sake of Britain and our future. #0127* – John Prendergast GOURIER 01-Jun-1935 – 04-Sep-2010 Age 75. John Prendergast GOURIER 01-Jun-1935 – 04-Sep-2010 Age 75. John Gouriet, who died on September 4 aged 75, was a pioneering campaigner in the 1970s against the abuse of power by Britain’s trade unions; the lawsuits he brought paved the way for Margaret Thatcher to clip their wings. Gouriet, a former Army officer, was a Thatcherite before Thatcherism. He worked to halt the advance of “communo-socialism” in Britain; campaigned against Soviet “oppression”; fought sanctions against South Africa; and latterly was preparing to challenge the legality of Britain’s membership of the EU. Though Gouriet campaigned throughout his entire post-military life, he was at his most effective as director of the National Association for Freedom (Naff), which he founded with Norris McWhirter after the IRA’s assassination in November 1975 of McWhirter’s twin brother, Ross. 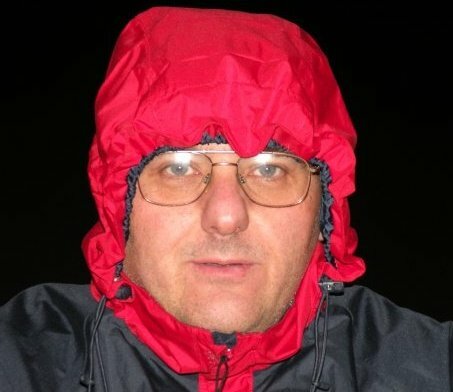 His signal achievement was to persuade the Court of Appeal to allow him to launch legal action against Post Office unions blocking phone calls and mail to South Africa – despite attempts by Labour Attorney General, Sam Silkin, to prevent such an injunction. John Prendergast Gouriet was born in London on June 1 1935, the only son of a survivor of the Somme who went on to fly fighters in combat; John’s mother was the daughter of an eminent Winchester Cathedral organist. 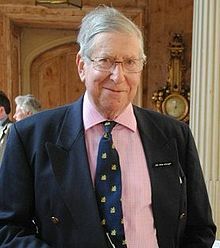 Educated at Charterhouse, where he was an all-round sportsman, he was commissioned from Sandhurst into the 15th/19th King’s Royal Hussars at the end of 1955, joining his regiment on active service in Malaya. For a year until their disbandment in 1960, he was second-in-command of a company of the Somaliland Scouts; during this period he raised an orphaned cheetah cub in his bedroom. Gouriet was adjutant of the Trucial Oman Scouts until 1963, then served as GSO3 Intelligence to the director of operations in Borneo. After Staff College he passed up promotion from major to become a squadron leader with his old regiment in Germany. He retired from the Army in 1973 when deputy assistant adjutant and quartermaster-general at the MoD. He then joined the merchant bank Rea Brothers as assistant to Sir Walter Salomon. On a grouse-shooting trip as Britain’s economic and union problems intensified, he told his fellow guns: “It’s no use complaining, then doing nothing” – and there and then decided to “take up the cudgels”. His first – non-political – venture was Young Enterprise. Gouriet set up companies with a nine-month life cycle, during which young people were taught the basic principles of business from flotation to liquidation. Gouriet consulted Ralph Harris (later Lord Harris of High Cross) at the Institute of Economic Affairs about a coordinated opposition to the erosion of personal liberties. Harris introduced him to Ross McWhirter; at the 1975 Conservative Party conference Gouriet and McWhirter leafleted every seat. He launched his first legal challenge when P&O ferry workers, sacked on returning to Southampton, stranded passengers’ cars on board. Gouriet persuaded a publican whose car was at the very back of the queue to launch a test case; before it came to court P&O struck a deal with the union. Next Gouriet tried to persuade the Home Secretary, Roy Jenkins, to offer a £50,000 reward for information leading to the conviction of IRA terrorists. When Jenkins refused, McWhirter launched the appeal himself – only to be killed on his doorstep by the IRA. A week later, on December 2 1975, Naff was launched at the Savoy, with Gouriet as campaign director and Norris McWhirter as vice-chairman. Its first act was to pay for six parents of children in Tameside, Greater Manchester, to intervene against a move by the Education Secretary to force the borough’s schools to go comprehensive. With the Labour government spurning the unveiling of a memorial in London to Polish victims of the wartime Katyn massacre for fear of offending the Kremlin, Naff formed the unofficial British party; Gouriet was decorated by the Polish government-in-exile. Most of Naff’s campaigning revolved around the Post Office. At Christmas 1976 it supported a Broadstairs woman who set up her own delivery service, challenging the Royal Mail’s monopoly. Weeks later, Post Office unions decided to block all communications to and from South Africa as a protest against apartheid. Gouriet sought an injunction under the Post Office Act, which made it an offence to tamper with the mail. Silkin refused his consent and Gouriet challenged this in the High Court, losing but on appeal being granted a temporary injunction by Lord Denning. The Lords reversed the decision, and Naff was left with costs totalling £90,857; the money was raised after Gouriet warned that failure to pay would “spell the end of Naff and probably any organised resistance to the advance of communo-socialism in Britain”. Meanwhile, Gouriet was taking a key role in the Grunwick dispute, over the refusal of a north-west London photo-processing firm to recognise a trade union. The ensuing strike brought violence on the picket line and entrenched attitudes on both sides, particularly when George Ward, Grunwick’s owner, refused to accept a ruling by Acas and recognise the union. Advising Ward, Gouriet took legal action to stop the Post Office unions blacking mail for Grunwick. He then, in July 1977, orchestrated “Operation Pony Express”. At 1am on a Saturday, two articulated lorries swept through the picket line to collect a backlog of 100,000 processed films. The packages were taken to a depot where stamps were stuck on them; 250 volunteers drove them to be posted at boxes throughout the country. Gouriet left Naff suddenly in June 1978, having fallen out with its chairman, Viscount de Lisle. It was renamed the Freedom Association that winter. He became chairman of Stevens-Lefield Foods, which made pouch meals for yachtsmen. From 1991 he was a director and consultant to General Portfolio. His campaigning continued unabated, though without an organisation behind him he achieved less. He pressed Mrs Thatcher to support Ian Smith’s internal settlement for Rhodesia, and after Russia’s invasion of Afghanistan co-founded the Campaign Against Soviet Oppression, lambasting “those manic geriatrics in the Kremlin”. He demanded the full rigour of the law against whomever in the Libyan People’s Bureau had shot and killed WPc Yvonne Fletcher. Gouriet twice threatened to stand against John Browne, his local Conservative MP. He urged Tories to rally behind Mrs Thatcher as the party’s MPs moved to depose her, and as the rebellion grew against the Maastricht treaty, hailed the dissenters as “the real heart of the Tory party”. In 1997 he stood for the Referendum Party in West Derbyshire, polling 2,499 votes. Two years later he ran the Earl of Burford’s Kensington & Chelsea by-election campaign against Tony Blair’s “treasonable” exclusion of most hereditary peers from the Lords. Gouriet tried to challenge Lords reform in the courts, and was left with a hefty legal bill. Gouriet joined forces with Norris McWhirter again in 2002, founding Defenders of the Realm. He chaired the group until his death, appealing for funds to mount a judicial review of EU membership for violating Magna Carta, the Declaration of Rights and the 1688 Coronation Oath Act. In 1981 he published a novel, Checkmate, Mr President!, emphasising the West’s lack of strategic minerals. Hear, Hear! (2010) brought together more than 700 letters – many to The Daily Telegraph – and articles he wrote during the Blair-Brown years. A bon vivant whose company was valued by both friend and foe, Gouriet also took a great interest in natural history, in particular ornithology, and in field sports. Gouriet survived heart attacks in 1993 and 2007; after open heart surgery he praised the care he received from the NHS. He married, in 1963, Sarah Barnett, who survives him with their three sons. I first met John through Peter Watson & Harry Randall in the days of Sovereign Britain and also with Elizabeth Beckett who died in February 2009, also in association with other friends Idris Francis and Ashley Mote – I was interested to be asked by John to help with the setting up of The F&M Campaign with Salmons in Bristol and took that forward with Val Lusmore and Tony York, Cristopher Booker & Richard North, Mark Oliver and also Peter Troy and his relentless partner the inexhaustible Elaine, those who were involved might care to spare a thought for the sterling work and generosity of spirit of Val Sinclaire who achieved so much who has been cruelly zapped too young with a brain stem stroke from which she is fighting back as one would expect but hugely disadvantaged and with great loss of sight! John and I had very different values, but perhaps they complimented each other! You may be unaware of John Gouriet’s sad and sudden death on Saturday 4th September 2010, as a result of heart failure. Please, therefore, be advised that this email address will no longer be in operation and we would therefore be grateful if you would delete it from your mailing list with immediate effect. That Leaves 10 days TO SIGN The EFD PARTY UP! Junius says: And what about UKIP’s core principles? UKIP was supposed to be against the pan-European ideal. And so yet another UKIPPER sells himself to Farage ‘For A Few Euros More’. 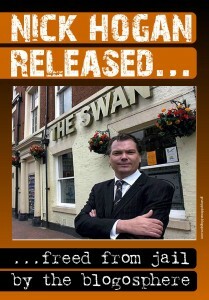 We know full well what Allison is after – Steve Allison UKIP East Midlands MEP. Or so he hopes! A plan is a vital tool but it can’t be so inflexible that it ignores targets of opportunity. The qualifying date for accessing this funding is November so the conference decision effectively shuts the door on up to 1,300,000 Euros of funding next year and makes the pot to be shared out amongst the other parties that much bigger, so not only have UKIP thrown away a huge amount of cash they have effectively donated that cash to our opponents who are happy to use it. End of quotes. So there you have it. McTrough and Allison are in favour of UKIP becoming pan-European just to get more money. So much for fighting for British independence. No doubt most of the money will vanish into a certain MEP’s bank account!